On our way back home from a long day out, Fionn and I often walk through a neighborhood on the banks (?) of the Gowanus Canal in Brooklyn. 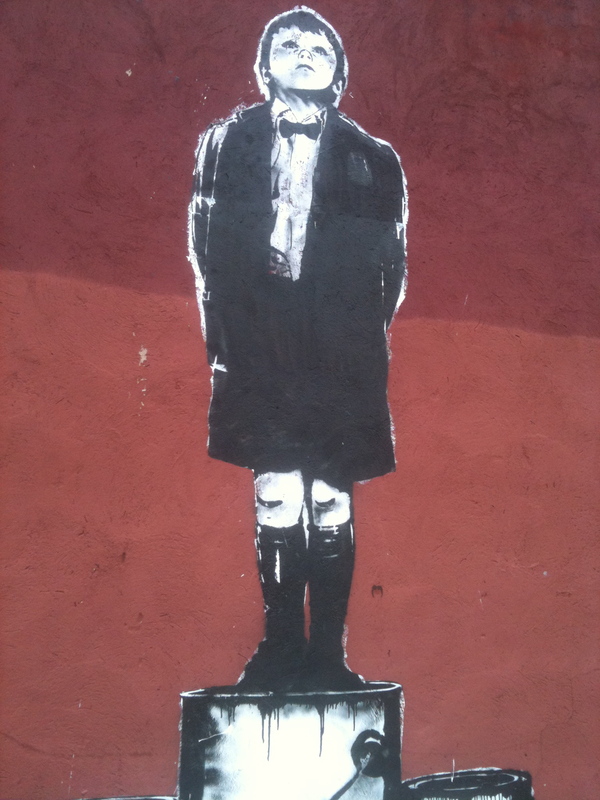 I must have taken the same route tons of times, but only noticed this graffiti art by a guy called Dolk on Wednesday. Thought it was too cool not to share. Although he hails from Norway, his work can be found all around the world. 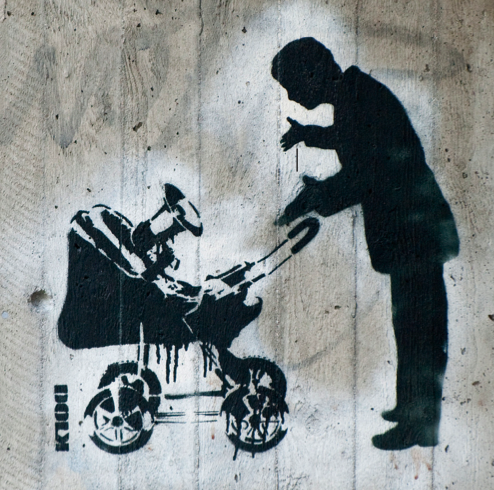 And although there were rumors of the “Dolk” name being an alter-ego for the artist known as Banksy, these rumors are still unfounded. Check out more images on the Flickr pool here. Apparently, prints of his work are/were also available. (I’m unclear as to whether they can still be purchased.) So, without further ado, another of my favorites (found in Bergen, Norway), and fond wishes for a great weekend.